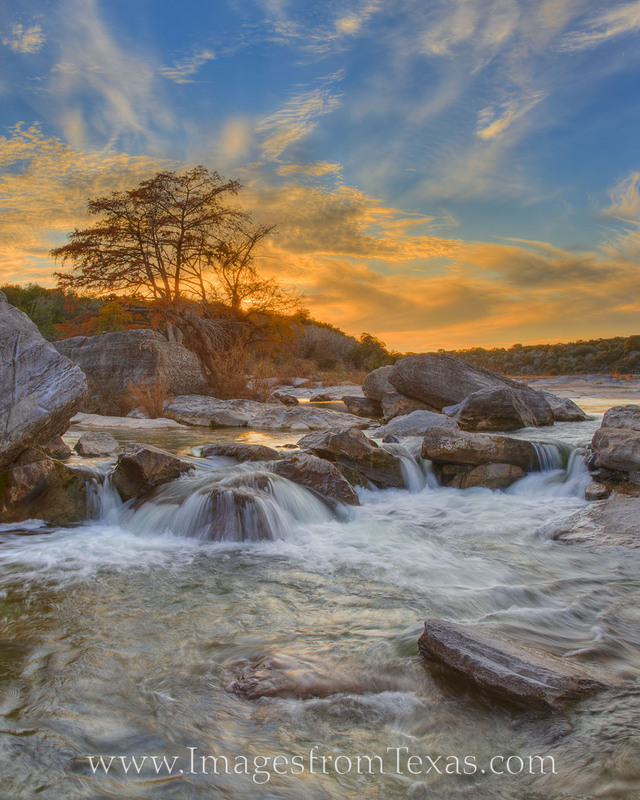 The Pedernales River in the Texas Hill Country can be especially beautiful in the Fall. Here, a bald cypress had changed from green to orange. In the foreground, cold, clean water pours over the limestone rocks as the colors of the sky light up in blue and orange. I love my time out here. This image was made with three separate images blended to make it a vertical panorama. It can be printed quite large. Please contact me for more information.